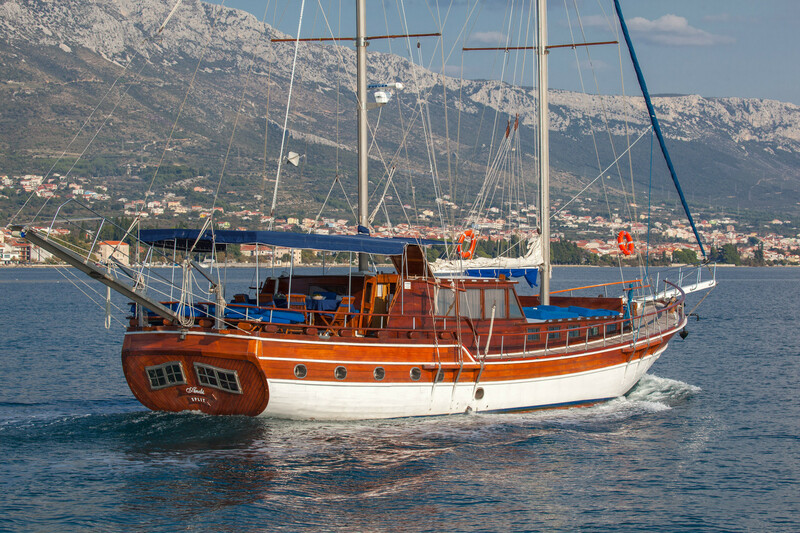 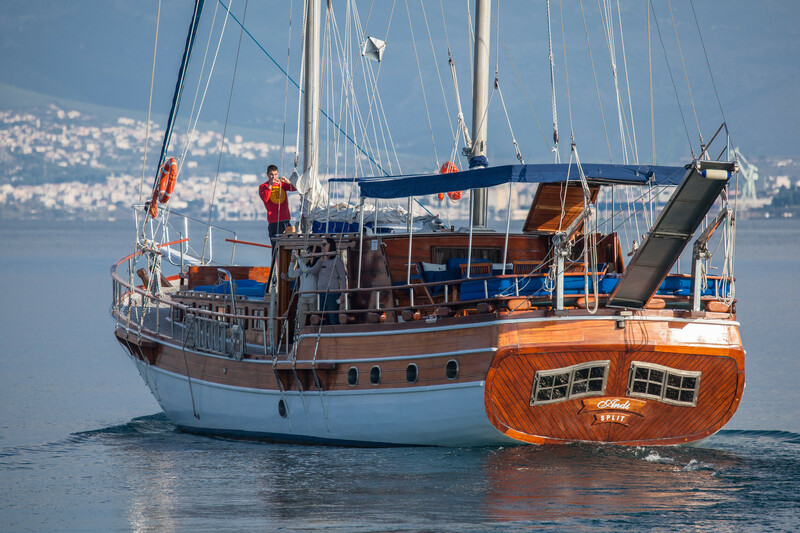 GULET ANDI is a main star of our fleet. 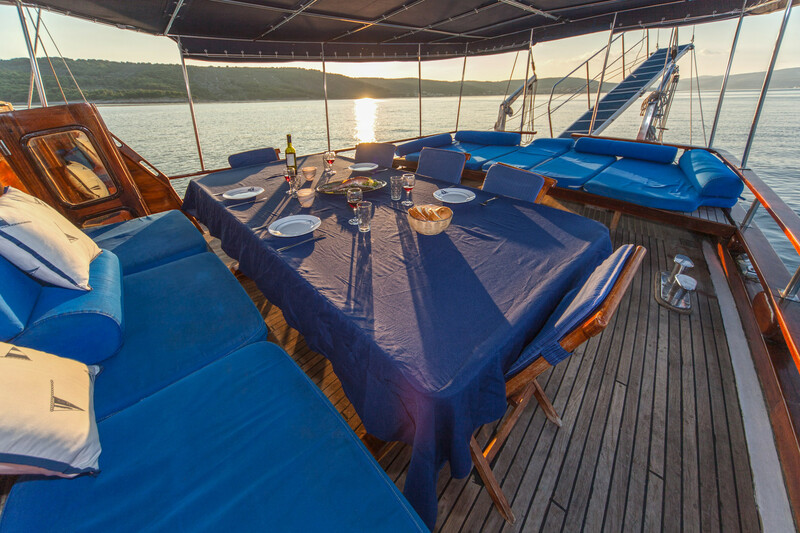 Within its warm ambiance you will get to the point of complete relaxation while discovering hidden treasures of Croatian cost. 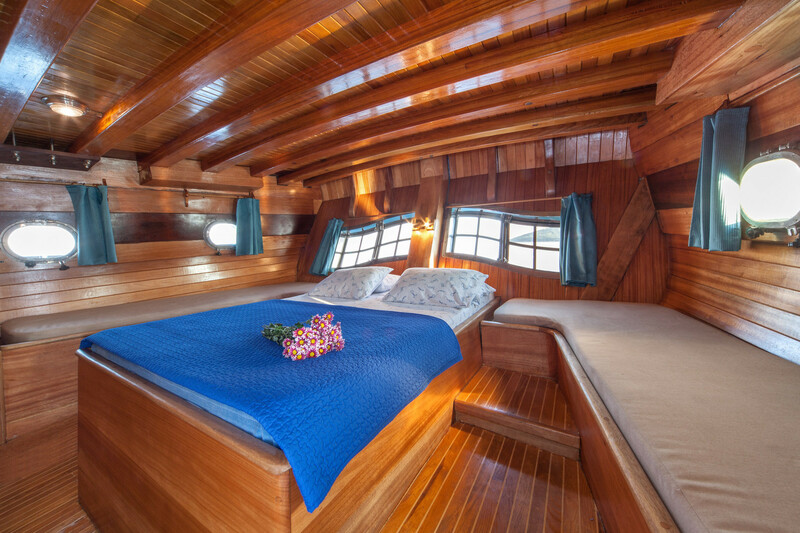 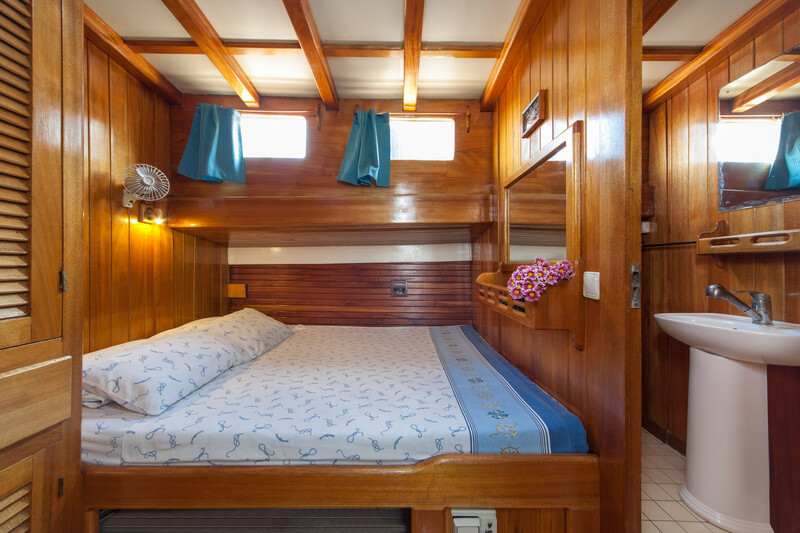 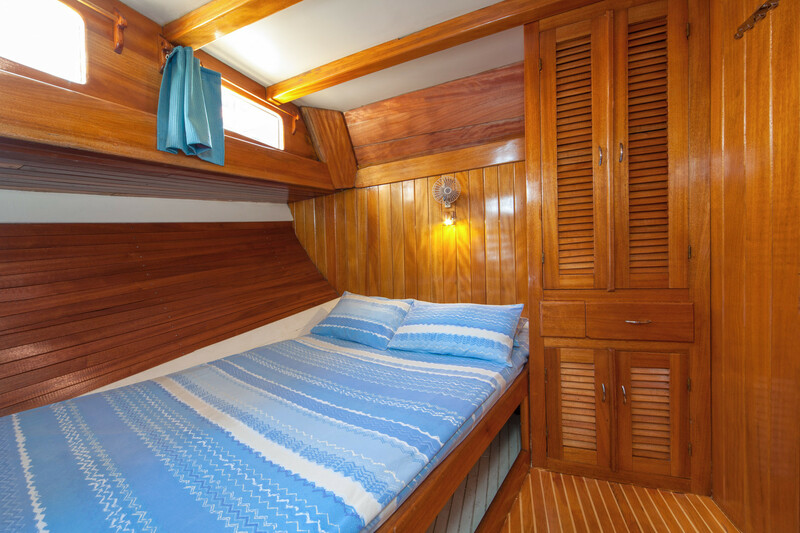 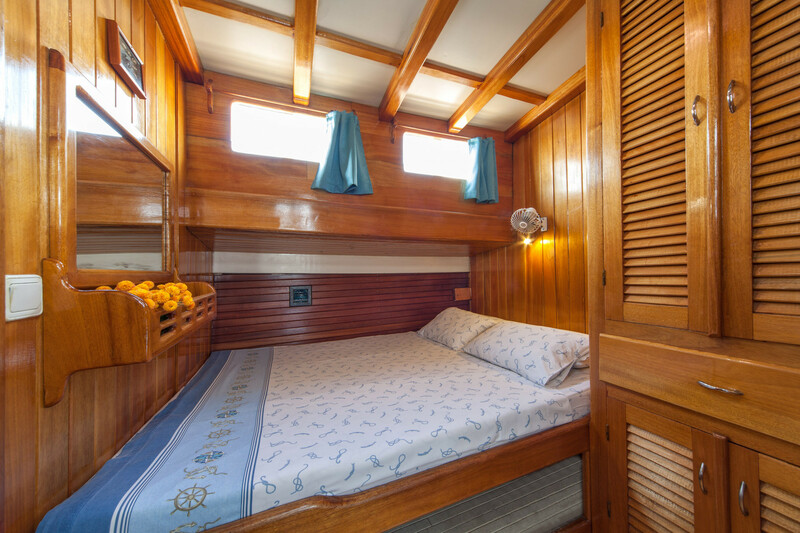 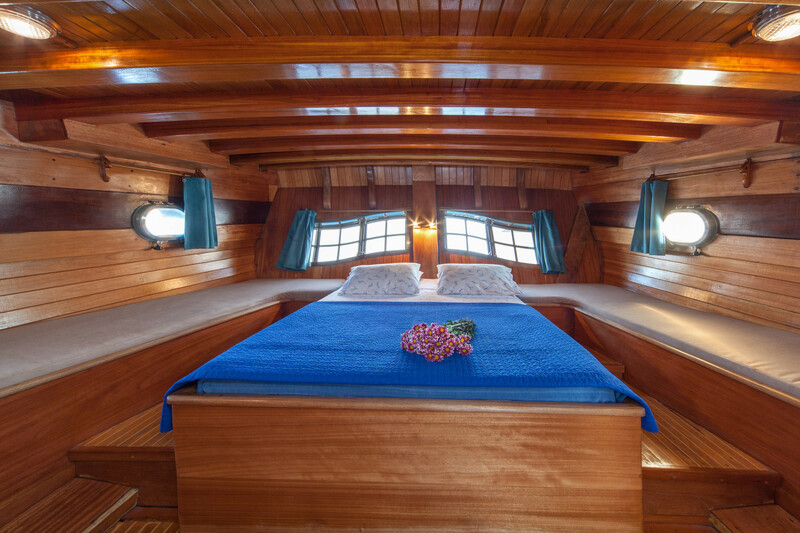 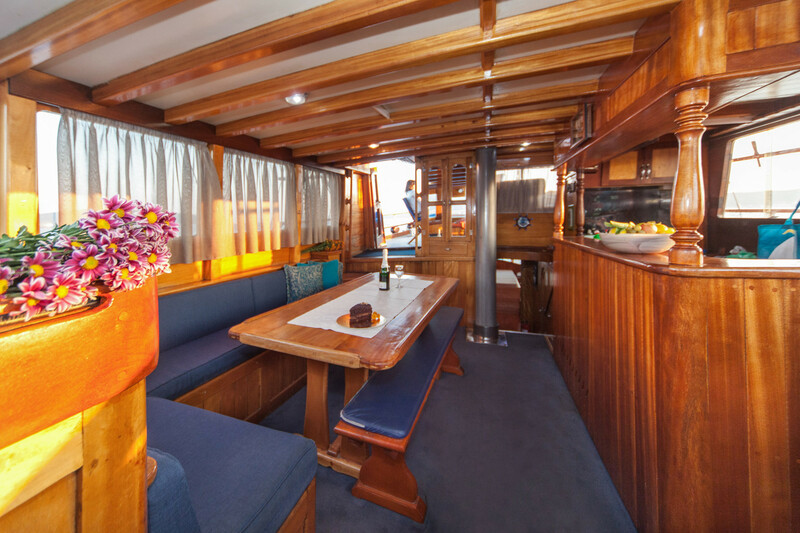 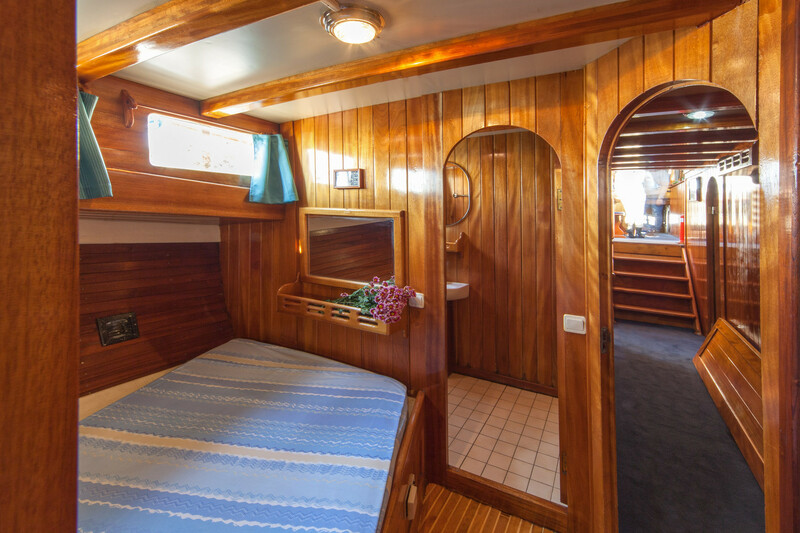 Sailing on gulet Andi is special and unforgettable experience because it gives you a particular sense of intimacy and jet enough privacy space. 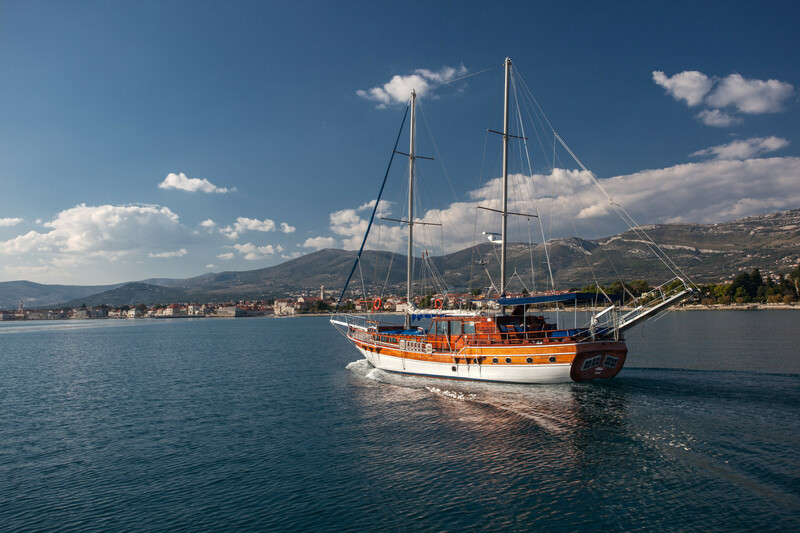 Every Saturday you have an opportunity to sail on gulet Andi on one of our recommended routes with departures from Split and Dubrovnik. 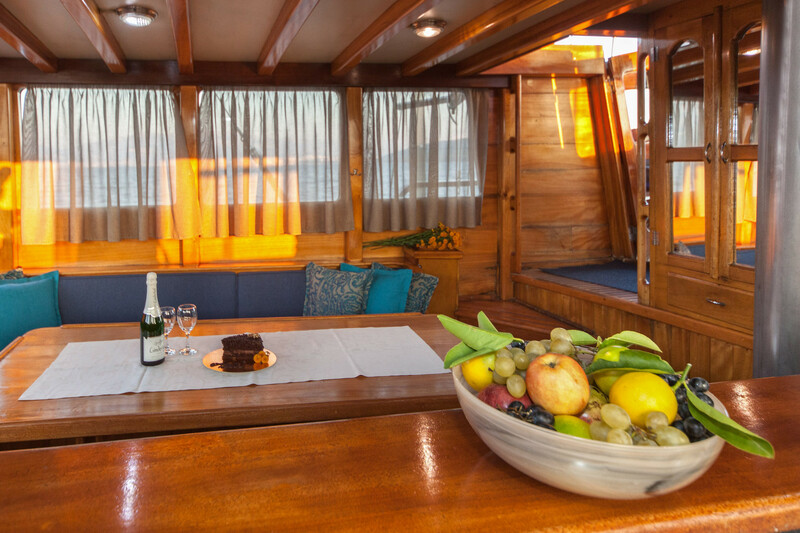 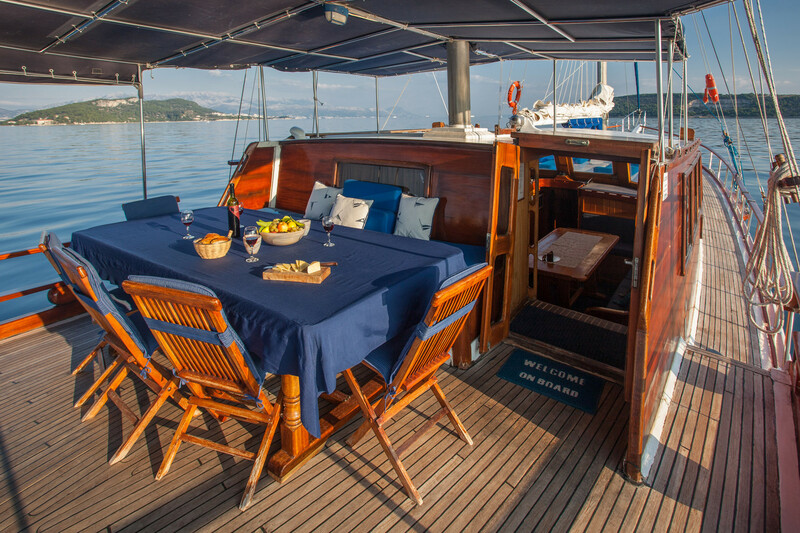 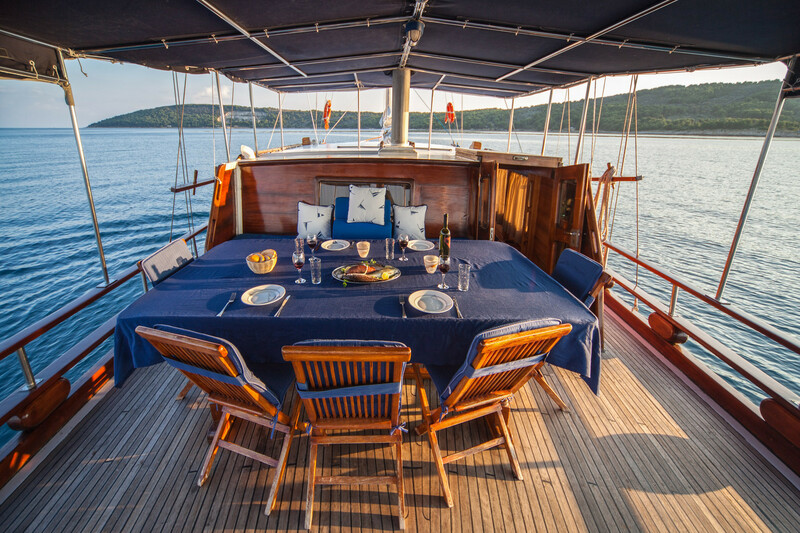 Enjoy your cruise while beautiful sights exchange one after another, taste Croatian dishes and wines and swim in hidden undiscovered bays while crew members of gulet Andi stay at your disposal. 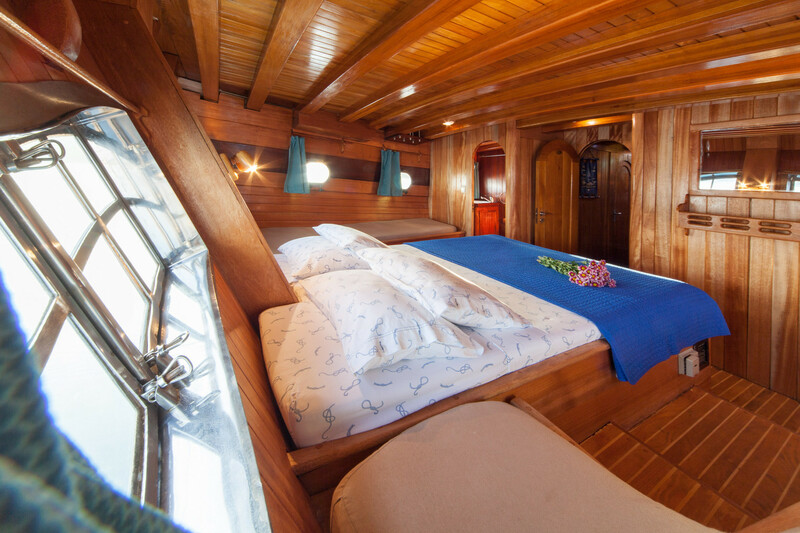 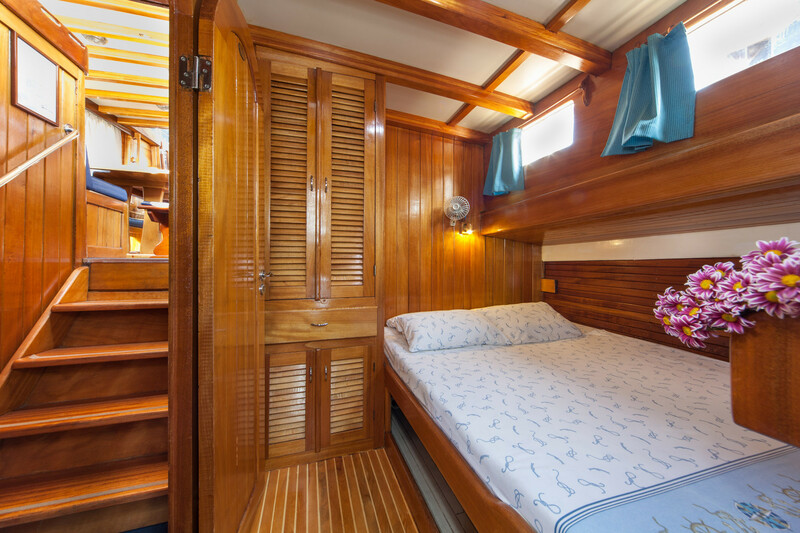 The price includes: 7 day cruising, 3 crew members, insurance, port and tourist taxes, fuel for 4 hours of navigation per day, up to 5 hours of generator work per day (for air conditioning), equipment on the boat, bed sheets and towels, beach towels, half board (7 breakfasts, 6 lunches and 2 dinners - including the Captain's dinner), natural water, tea and coffee, WI - FI Internet (1 GB/day). 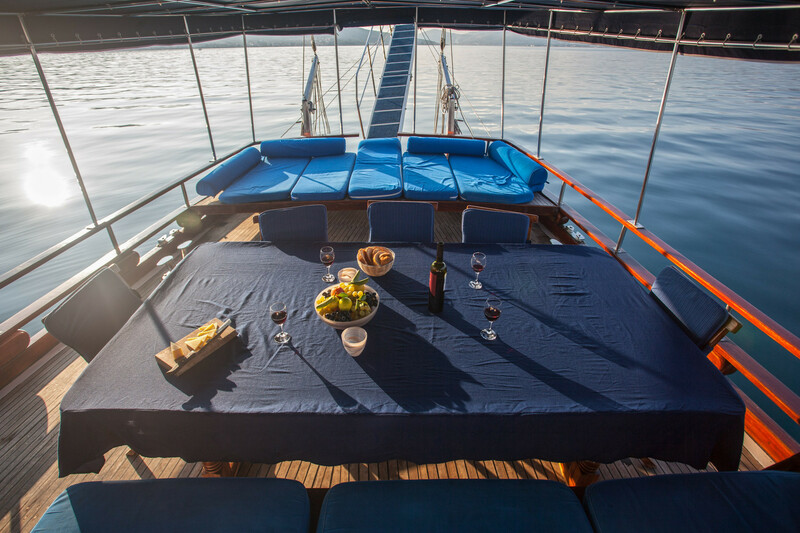 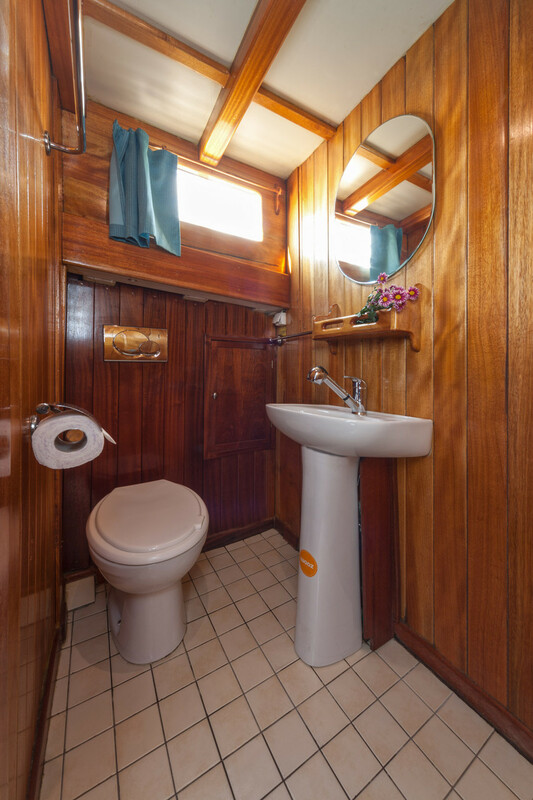 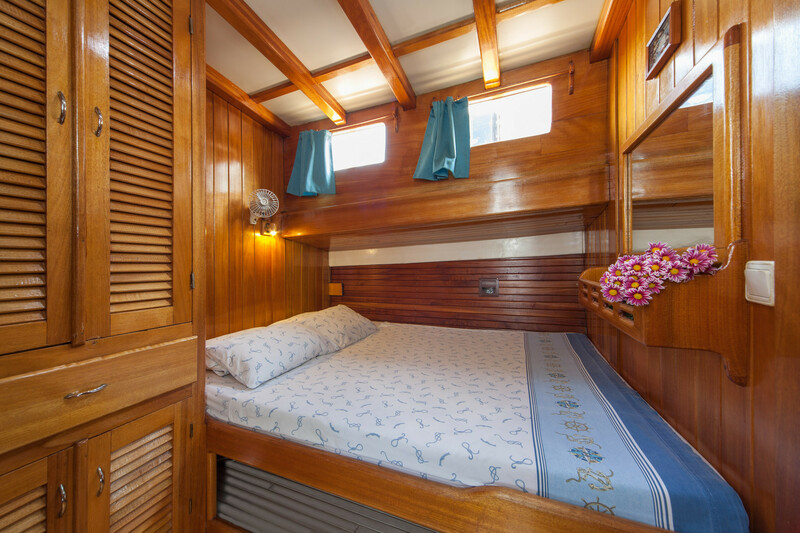 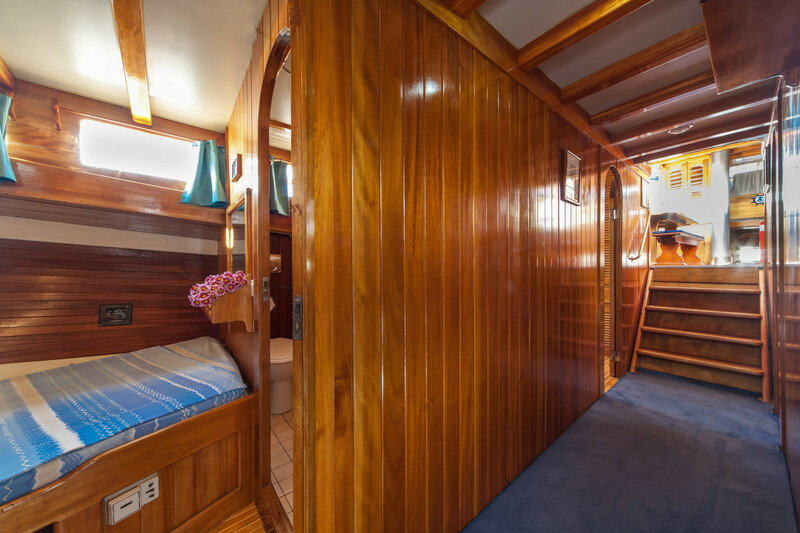 The price doesn't include: transfer, entrance to the National Park, private marina fees (if requested from clients), tips, personal extras and all additional costs not mentioned above. 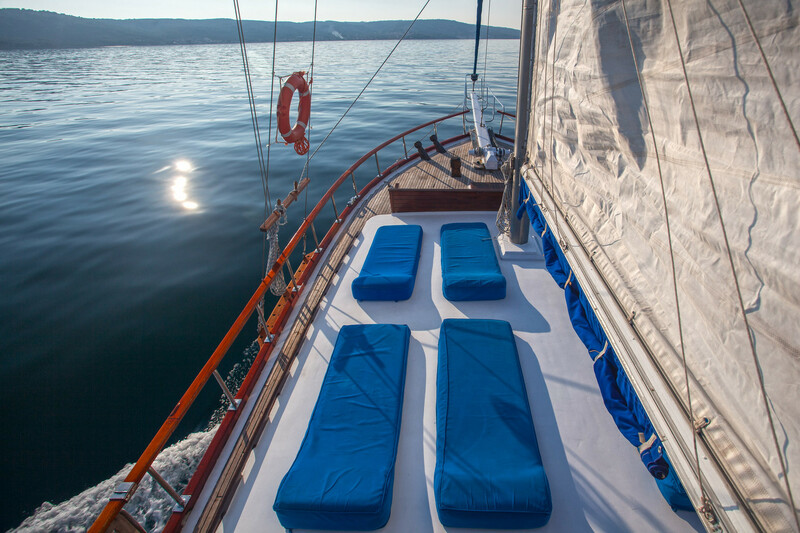 Supplement for Dubrovnik route (route 3 and route 4): 50 € for a person / optional. 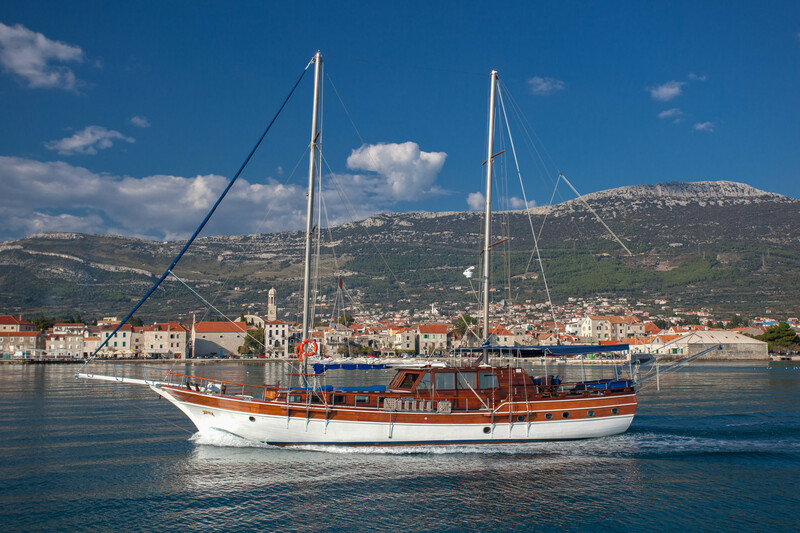 Embarkation : Saturday at 15:00.